It was really informative to witness Kenmore Air's operations and to be able to see their floatplanes up close. Having built a lot of model planes when I was younger, I understood the three-dimensional form of the fuselage and wings but it was still difficult to get the proportions right. Nevertheless, machines and especially airplanes are fun to draw. Great series of sketches. Each time I look at your work it encourages me to just sketch in BW. Amazing sketches. 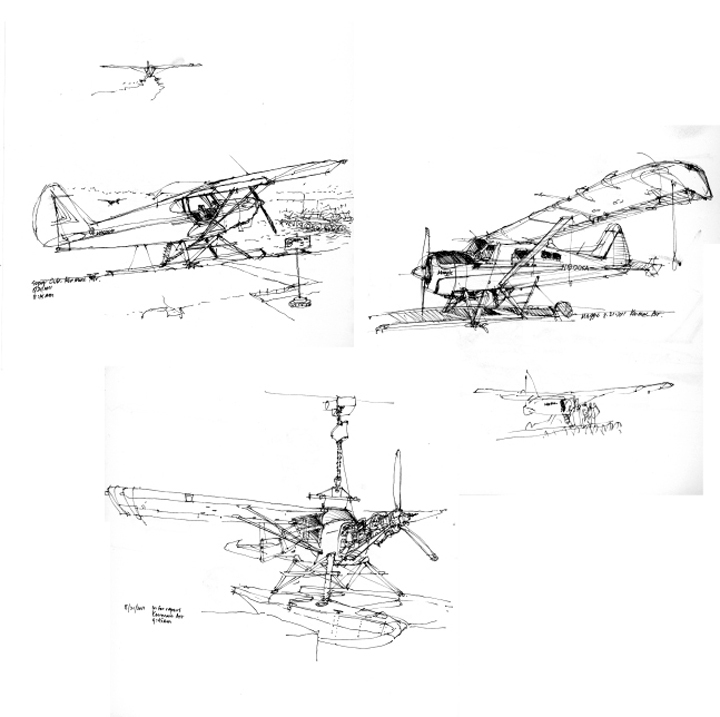 These certainly capture the planes in various states and I know how difficult it was to get the proportions. Thanks for your help. It's fun to see all these different views with the differing views & details and the always impressive Ching lines!